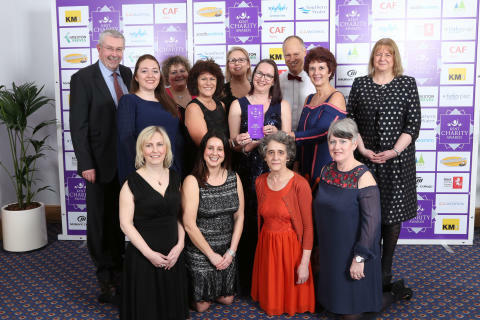 ellenor was named ‘Care Charity of the Year’ at the Kent Charity 2018 Awards, which recognises the outstanding contribution charities and voluntary groups undertake to make the lives of others better. The award recognises the Hospice’s commitment to its patients and their families in delivering high quality care and support when it is needed most. ellenor was shortlisted alongside the Kent Autistic Trust and Pilgrims Hospices. ellenor is the only charity in the county that provides hospice care for people of all ages, from the very young to the very old, in their place of choice, and Children’s Hospice at Home. This means that across Kent we can be there for adults, children and young people, ensuring they have access to the very best care and support. Each year demand for our services is increasing – last year we cared for over 2,500 families. 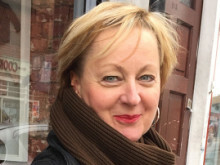 Claire Cardy, ellenor’s Chief Executive said: “We are thrilled and deeply honoured to win ‘Care Charity of the Year’ and to be recognised that our personalised approach to care is making such a difference to people’s lives. I am incredibly proud of the whole team and I would like to thank the staff and volunteers for everything they do. They help us to deliver the highest quality care to our patients and their families and this award recognises their work tirelessly supporting others behind the scenes. My special thanks also goes to our faithful and committed supporters, who enable us to raise the necessary funds to provide our services free of charge to patients and their families”. Now in their fifth year, the Kent Charity awards have become an unmissable date in the third sector diaries. The awards ceremony was held on Thursday 15 March at Priestfield Stadium in Gillingham.